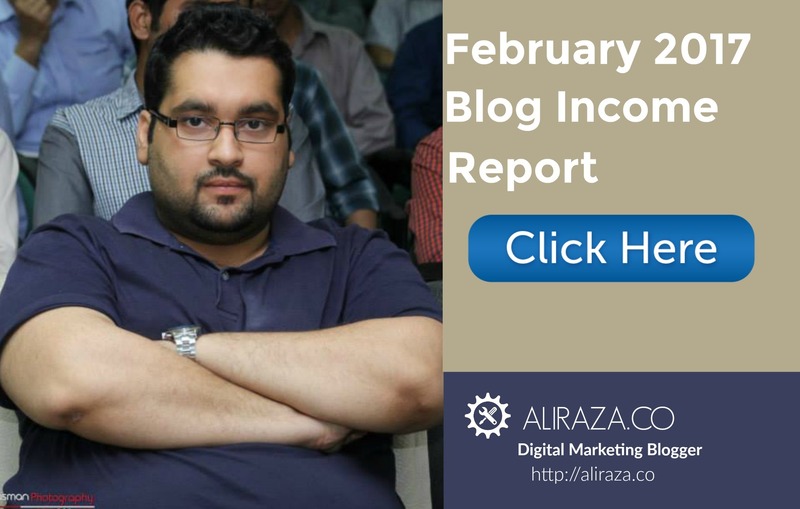 Welcome to the February 2017 Monthly Income Report for AliRaza.co. This is the 17th Monthly Progress Report of this Blog. The purpose of Monthly report is to review the amount of work I do every month, along with website, social media and subscribers statistics. In other words, I critique the performance of myself and my blog every month to see where i’m standing. How to Make Money Online is an important query which is being search 400,000 times every month and it’s because there are many people who are struggling to make money online? Why don’t you checkout my post and learn something from it. 2 Posts Created In The Month of February, 2017. 4.1 Comparison with the Month of January 2017. 9.1 Plans for March 2017. Keeping in mind with the latest changes at Google, this month I have installed the Table of Content plugin. I’m expecting this to improve the user experience and Google love. However do post your feedback on this since i’m still experimenting it. Posts Created In The Month of February, 2017. In the Month of February, 2017. The site has addition of 3 new posts and updated 2 old posts. He is surely an inspiration for many of us, because he has never been to a school, never did formal education but still a millionaire. His interview is worth reading! Have you ever wondered about acquiring more customers through your website? So What’s the Learning this article? I have outlined Importance of Customer Acquisition, How You can turn your website into a successful customer acquisition Channel? and 9 Strategies To A Successful Customer with ending and conclusion! Are you a beginner and trying to make money online? so what’s holding you back from taking an action and making money online? I have outlined 20 easiest ways to start your online earning career! Want to Learn How To Make A Successful PPC Campaign Online? Then read out this guide. I have covered from defining what is ppc to 3 critical mistakes which can kill your ppc campaign, do have a look and let me know your thoughts. 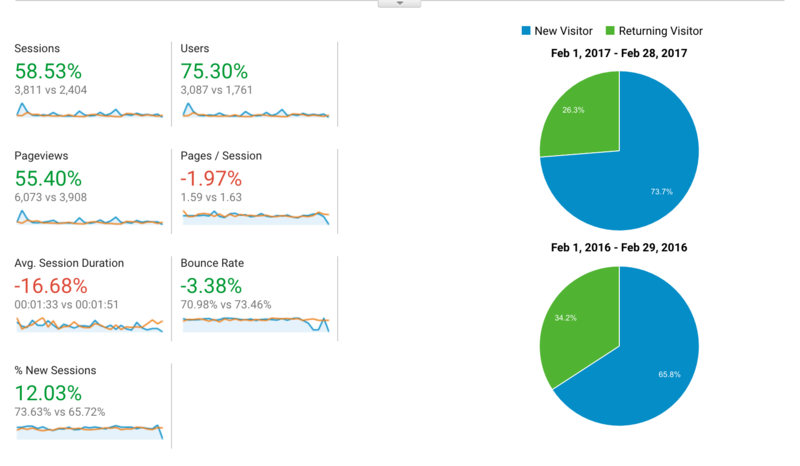 Here are the traffic stats for the Month of February, I received a total of 3087 number of unique visitors, 3811 Sessions and 6073 Page Views. 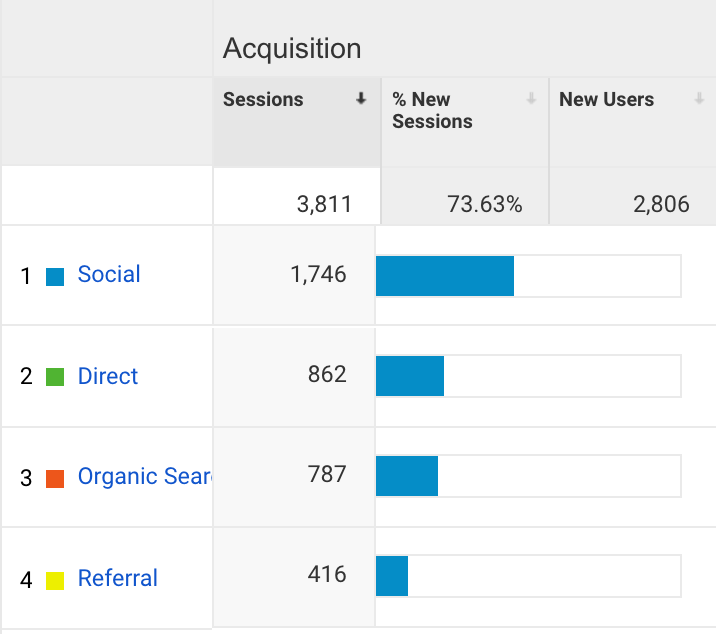 For a quick revision, the number was standing at 3426 Unique Visitors with 4448 Sessions Last Month. Let’s have a look on the traffic sources to get an idea on what are the top traffic acquisition sources for this blog in the month of February,2017. Comparison with the Month of January 2017. First of all, February has been a great month even it was 3 days short. All was working well and then in the last 3 days, my SSL certificate was expired which resulted in a massive decrease in traffic and which i wasn’t completely aware, until some people told me about this. So the last days has been a great loss. 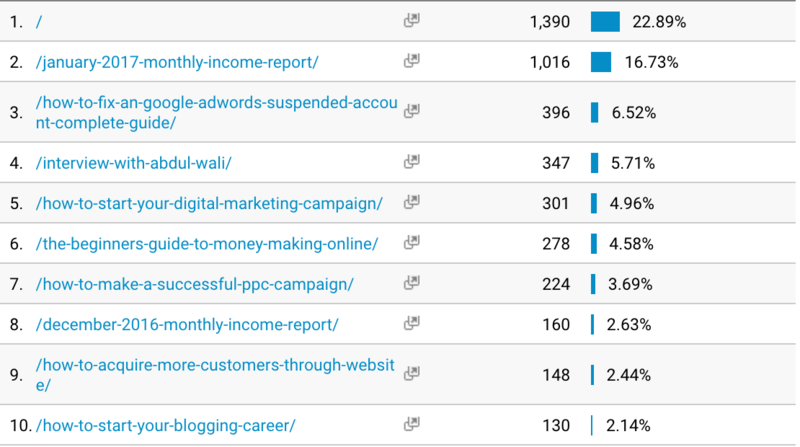 The bad thing is that MatthewWoodWard has stopped posting new roundups of bloggers who are writing their income report so this also resulted in a drop in traffic. 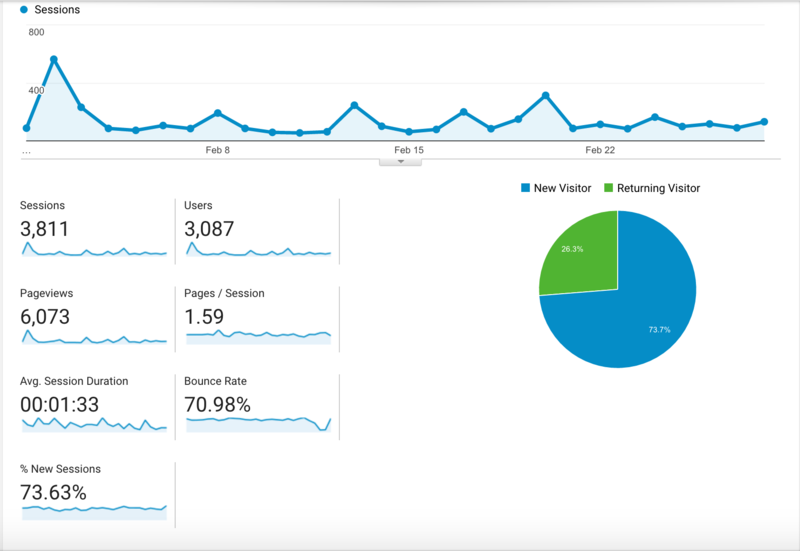 Despite the SSL issue, Matthew’s Blog change and February being 3 days short, traffic was pretty good with more than 3000 unique visitors. Social Media has been always a great performer. I will attribute the decrease in organic traffic to posting lesser number of posts. Although i expected that the traffic will continue with same momentum since im also updating old posts, but seems Google loves new content more than updating the old one. The January Monthly Income Report won the show! The traffic here show’s the repeat visitors who are connected with the progress of this blog. Interview with Abdul Wali came on third position! 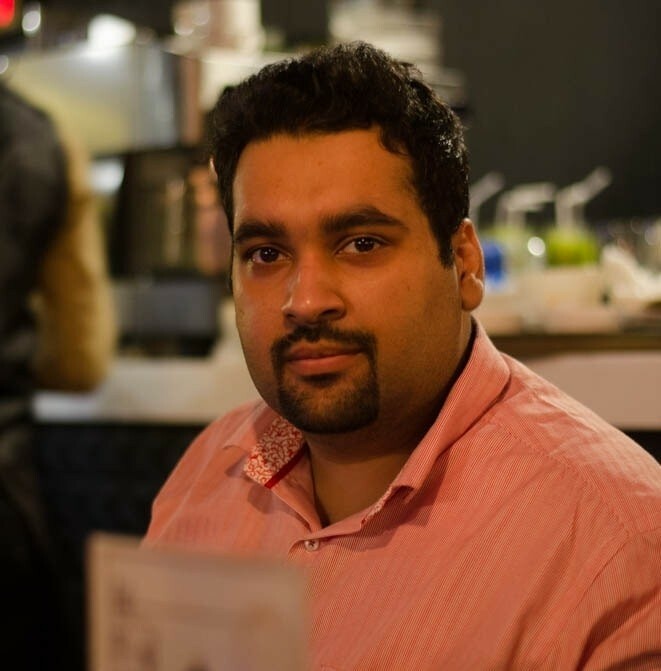 Thanks Abdul for giving such awesome advices and detailed insights about your career. Below are the updated stats till 31st February 2017. Google Plus – 352 Followers (Last Month I had 342 Followers) – +10 This Month. Twitter – 514 Followers. (Last Month i had 511 Followers) – +3 This Month. 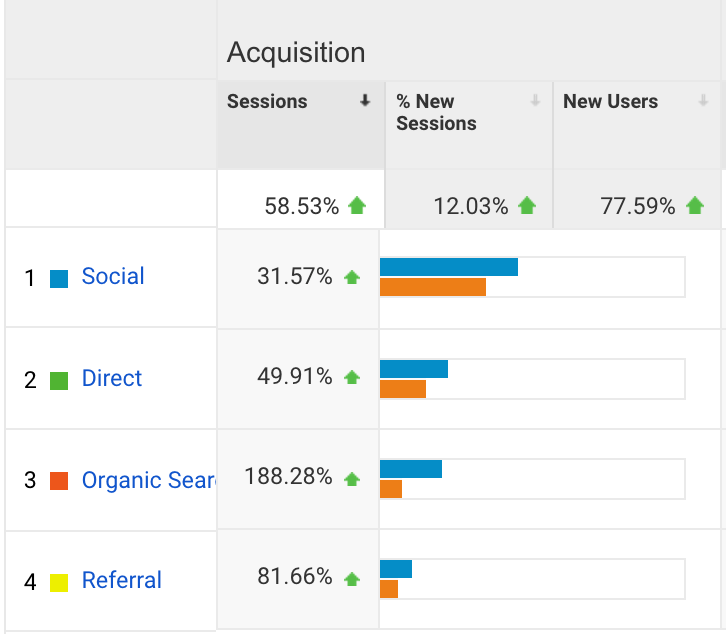 Let’s have a look on the traffic I received from Social Media Traffic, last month in February. Facebook has always been a constant performer and generating top traffic from me, accounting up to 97% of total social media traffic. Quora and Twitter are going good too. In February, I was being mentioned at two different places. First of all, I was mentioned at Freelancefront.com, where they added me into the list of Top 25 bloggers of Pakistan. Thanks Huma! I appreciate your gesture. Secondly, I was metioned on the Jens blog, In : How To Make Money Blogging: 250+ Blog Income Reports. Thanks Jens, for the mention. 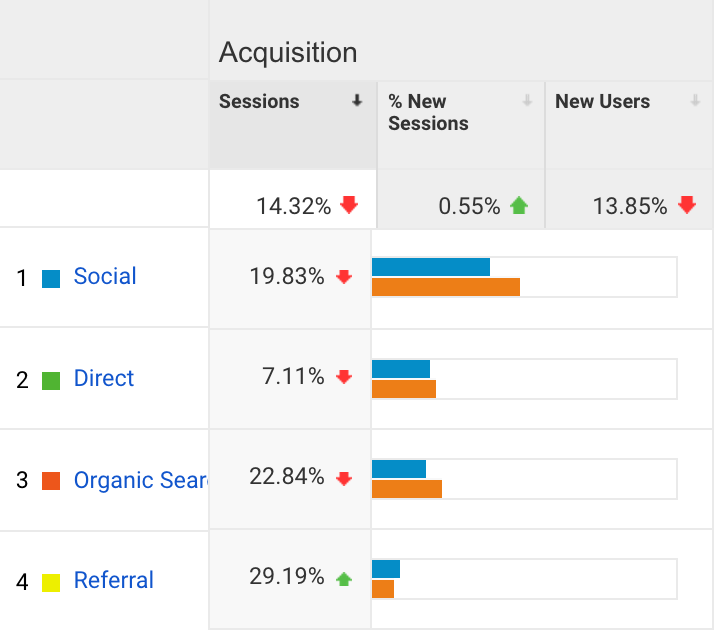 This month, consultation revenue went down to $200 and it’s because like January, for some reason, people didn’t went on buying my service via this blog. Please keep in mind that I do have an online advertising agency as well but i keep their earnings separate even if that is of just consultancy. I have started two amazon websites based on the experiments i have started doing recently. The site went live on 22nd January and so far they have been a great performer. Will share more details on them, depending upon the audience interest. This month, I spent some money on Facebook Advertising ($15), I also spent $120 on maintenance and other tweaking of the website, $5 was additional expense on PicMonkey too. I plan to write 4 new posts, update 2 old posts and see how does Google reacts to this. I wanted to cross 1000 organic visitors again this month. 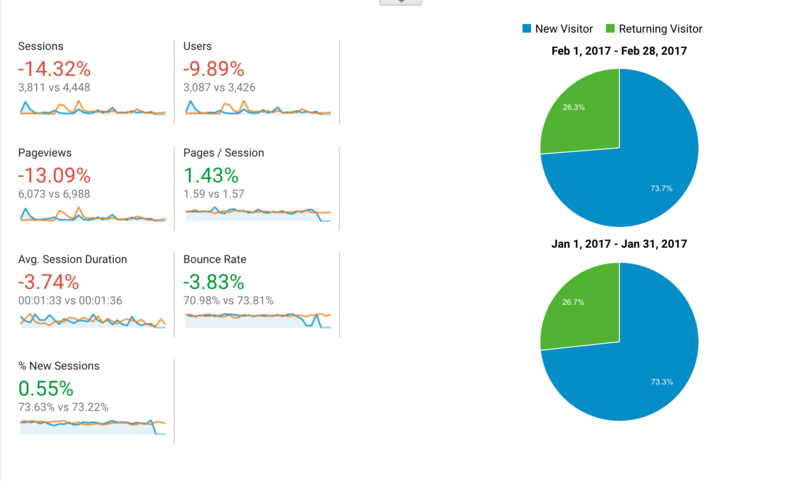 I wanted to increase overall traffic by at least 15% as compared to February. Hopefully I will also launch the long due SEO Services this month. Anyway, Thanks for reading my February 2017 report, hope it was a good read for you. As always, I’m open to criticism, what are your thoughts on my blogging strategy? Did i miss something? What do you want me to add in my monthly reports article? Every appraisal and criticism is welcome here, please do comment on what you think. Your passion can easily be counted towards your blog and blogging that you’re at par despite the numbers are not that much high. And you know that not everyone stands firm when the numbers are massively down. But those who have passion and the will to do something in the long run. Yes, blogging is not for short term. And not entirely for the money’s sake. It is to become an impacting soul, to help our and give out to the community and become an authority. Rightly said, I second you on everything. As far as I’m building my audience and helping them via my content, I’m going successful and that’s what matters for me. Great summary. Really like the way you put the details. that’s why i follow you.. would you mention which 2 amazon sites you have created ? Sure, I will be explaining some more data about amazon websites, in my next report. I like the way you describe your income report in very detail. But i want to know that why your bounce rate is 70.98? 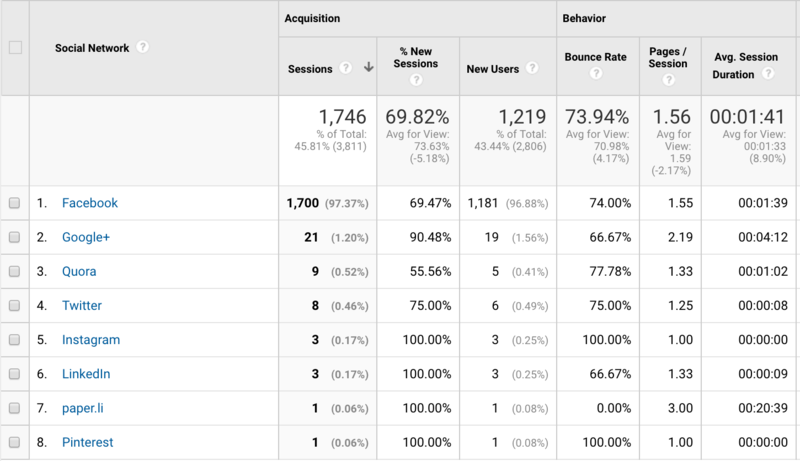 Is this bounce rate you consider or not? And what techniques we can use to reduce it? Good earning and motivation for us, can you please share about your amazon site? Thank you Usman, Sure, I will be explaining some more data about amazon websites, in my next report. a great starting. Your monthly income report is a inspirational piece for every novice blogger. keep up the great work. Keep sharing It motivate us! Congratulations on a great traffic month even with the multiple hiccups. 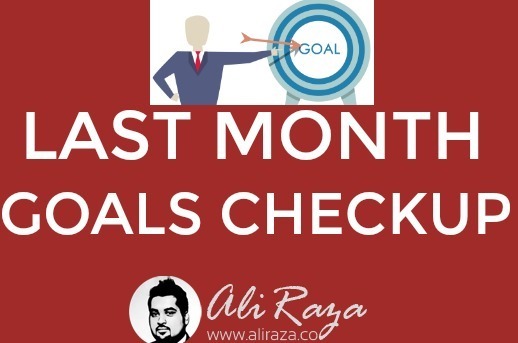 It seems to me as if you’re producing a ton of content, but maybe it’s because I only publish one puny post per month as my blog isn’t my highest focus. How much time do you usually spend on your blog? Good earning and motivation for us.i will try to achieve This goals.